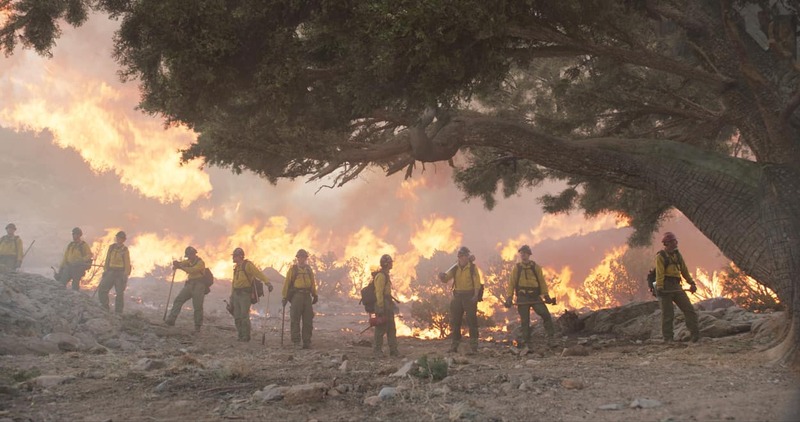 Only the Brave, directed by Joseph Kosinski, is based on the heroic true story of an elite firefighting group called the Granite Mountain Hotshots, as they put everything on the line to protect a town threatened by the historic 2013 Yarnell Hill wildfire in Arizona. 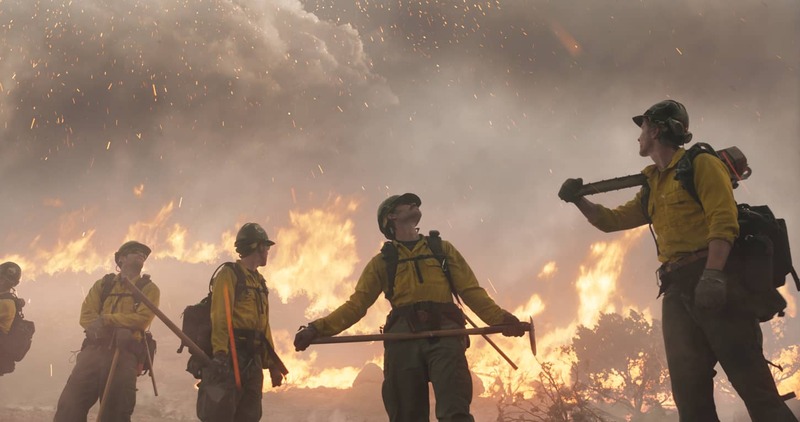 With an epic story of real-life heroes pitted against Mother Nature’s fury, the film is like a war movie (and co-written by Black Hawk Down scribe, Ken Nolan), yet focuses in on the personal level to explore the trust, respect and deep sense of brotherhood that develops between the firefighters. Featuring a stellar cast including Josh Brolin, Jeff Bridges, Jennifer Connelly, Taylor Kitsch, Miles Teller, and Andie MacDowell, Only the Brave captures the humanity behind the heroism, as it puts the intense reality of wildland firefighting on the big screen for the first time. Posters for the film declare in big, bold letters, “It’s not what stands in front of you, it’s who stands beside you”—a line which surely resonated for the film’s “A” camera operator, Mark Meyers, as he braved conditions ranging from 10,000-foot-high mountain tops to sets with 100-foot-high flames. Camera Operator sat down with him to get the scoop. 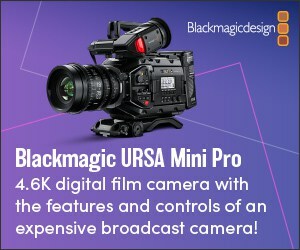 Camera Operator: Tell us a bit about your background and how you got the job of “A” camera operator on Only the Brave. Mark Meyers: I got started as a camera operator just over 12 years ago when operators that I used to push dolly for pushed me into operating. They told me I’d be good as an operator and that I should do Steadicam because I already had half that experience as a dolly grip. It’s an unusual move and, at least at the time, I was probably one of the few people who made that leap. The funny thing though is that I went from working on $200-million dollar movies one after another as a dolly grip down to basically doing film school stuff and starting all over as a camera operator to work my way up, eventually getting hired again by the people that I knew. For this job, I was approached by Claudio [DP, Claudio Miranda], who I’ve known for many years, first meeting him on Crimson Tide when he was a gaffer and we’ve done a few commercials since. He actually first approached me because I have a pilot’s license and he was very interested in doing a lot of drone work on this film, and he wanted to keep it within our department and not outsource it. And then he wanted me for Steadicam as well. CO: Speaking of drones and Steadicam, what gear did you rely on? Meyers: We shot with the Sony F65 and F55 and used a Chapman-Leonard Hydrascope, the Mo-Sys remote head system, DJI drones, and I got to put my Steadicam to good use. The grip crew also had a slider made that we could put on the side of a mountain and do tracking shots. But the thing with Joe [director Joseph Kosinski] and Claudio is, they use the tools where they should be used instead of just using something because it’s there and it’s ready. Each Steadicam shot was designed to be a Steadicam shot. And that’s something I really appreciate, using the right tool for the right shot. The drones were really just another tool on our set. We collaborated with DJI and started using some of their new experimental tech like the DJI Matrice 600, along with some new guidance equipment that wasn’t yet sold to the public. Claudio was very involved with experimenting with the new equipment like that, he’s really big into the technical side of things and I learned a lot from him. After some tests he and Joe did with the cameras, they decided the quality was good enough and were very impressed, so we ended up using with the DJI X5R for aerial shots. CO: What was it like on set and who did you work closely with? Meyers: It was really fun because the whole team got along really well, all the way from the top to the bottom. The crew and the cast—it was all one big family. It was a pleasure working with Joe and Claudio and their style of shooting. 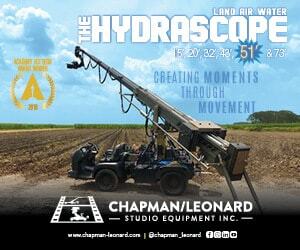 Both are consummate professionals and make the job really enjoyable for a camera operator. Of course there was my first AC, Dan Ming, who’s awesome and a super nice friendly guy I’ve worked with off and on throughout my career. He likes to make things happen, is super pleasant to work with, and knows everything about everything. My dolly grip, Tommy Ruffner, and key grip, Trevor Fulks, they were always there, always supportive and made me feel safe. They give you the trust you need; you know they have your back. All the producers were wonderful, just good people who wanted to make a good movie. The crew was the same, you never felt like anyone was there just to do a job and get through it. Everybody was there on a mission because it was in their heart, you could feel it. CO: What was the shooting schedule and where did you shoot? Meyers: We shot from June until the middle of September 2016 in the Santa Fe area of New Mexico. We shot up in the ski areas, some at 10,000 feet. It was a very physical job. We also shot at some ranches, and at Santa Fe Studios for interiors. 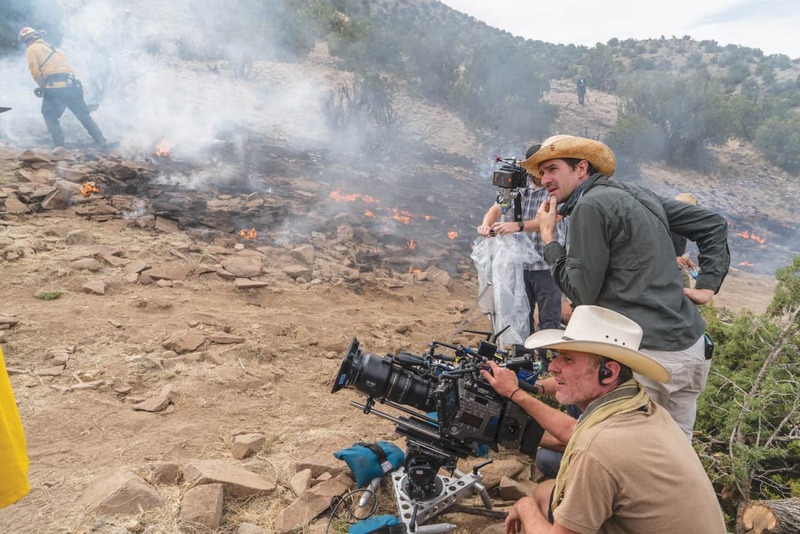 CO: What was it like shooting those extreme wildfire sequences? Meyers: The fire sequences were amazing. They were fun. Of course it was intense, too! I remember this one shot where I suddenly felt the heat intensify and then I noticed the shade on my monitor started warping. That’s when I knew it was time to leave. Over at the studio, the production literally replicated forests that they could control burn with trees that they brought in treated with fire retardant, and an escape path designated if there was ever a problem. There were also steel tress that looked real when on fire, but wouldn’t burn down. There was a lot of practical fire, and a lot of real heat. All kinds of smoke everywhere, one set was built to have towering, 100-foot-tall flames. It was very intense, but I tend to block stuff like that out, and I get into this zone where I know I’m safe, and I just focus on the shot. CO: So in those intense fire sequences, how are you and the gear protected? You mentioned a monitor shade warping! Meyers: Well, first of all, we were all required to wear safety gear—fire retardant clothing, helmets, leather boots, gloves—we had all of that, in addition to ventilation and dust masks. But everybody was really safe. 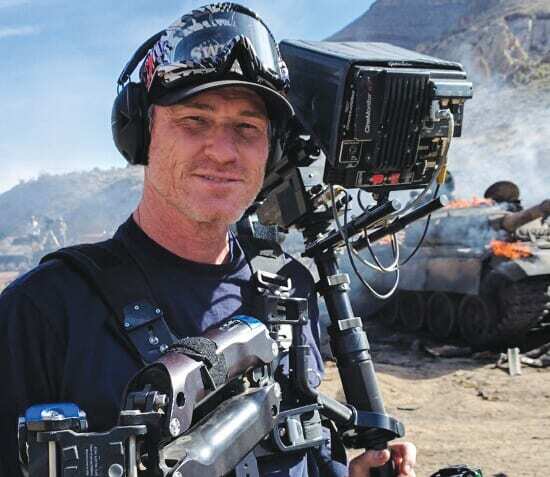 The effects crew was amazing, [special effects coordinator] Mike Meinardus and his whole crew took the safety very seriously and no one got hurt from fire. Really apart from the warping on that monitor shade, no gear was damaged. We used furniture blankets and other shielding sometimes, but nothing over the top to guard the gear. The rule was just: “If it gets bad, get out,” and everyone was always on the same page as what to do and where to go. CO: What shot or moment from the shoot are you proudest of? Meyers: There’s one shot in particular, towards the end of the movie, where I’m in a Huey helicopter with the Steadicam on and shooting over the shoulder of a medic character as they approach the site where the burn was and where all the burn victims were. We circled around the site in the Huey as I’m shooting over the shoulder, we landed, and he jumps out of the helicopter and I jump out and then follow him all through the devastation as he walks up and sees all the burned bodies. I’m proud of it because it worked and it worked well, the production was pretty concerned about whether we could even do it all in one shot or if we’d have to break it up. But I took a chance because I knew I could do it. Somehow it worked even without any net to protect from the helicopter’s wind. Also, there was this one shot with Miles Teller’s character, who got back to base camp after surviving an ordeal. He’s sitting in the truck and he hears on the radio everything happening. We had the real transcripts that were being played, and I was doing this super slow, creeping dolly move into the back seat where he was leaned up against the back. As we pushed in, and slowly wrapped around and boomed up, I listened to the tapes and watched Miles, and it was a moment where I almost broke down. It was so dramatic and I was just in it so much. I almost lost it in tears at that moment. Shooting this film was also special to me because when you’re there and you start meeting the families of these guys and talking with them—it just makes you really want to make a good movie and tell the story well. CO: Was there anything you learned from this shoot that stands out? Meyers: A big lesson is to go with your gut, that really made a few shots. But another lesson is to fully utilize the capabilities of the tools at your disposal, which will make your job easier. Joe is all about hitting exact marks on framing, so I really had to use tools like the functions on a remote head to make sure I hit the marks precisely. CO: What have you been up to since Only the Brave wrapped? Meyers: After Only the Brave, I went on to the Jerry Bruckheimer film, 12 Strong directed by Nicolai Fuglsig, and starring Chris Hemsworth, Michael Pena, and Michael Shannon. That one was a lot of very physical work! It wrapped in February 2017, and then after that my son was born. I took some time off and then I’ve been doing some commercials and recently worked a bit on Westworld. 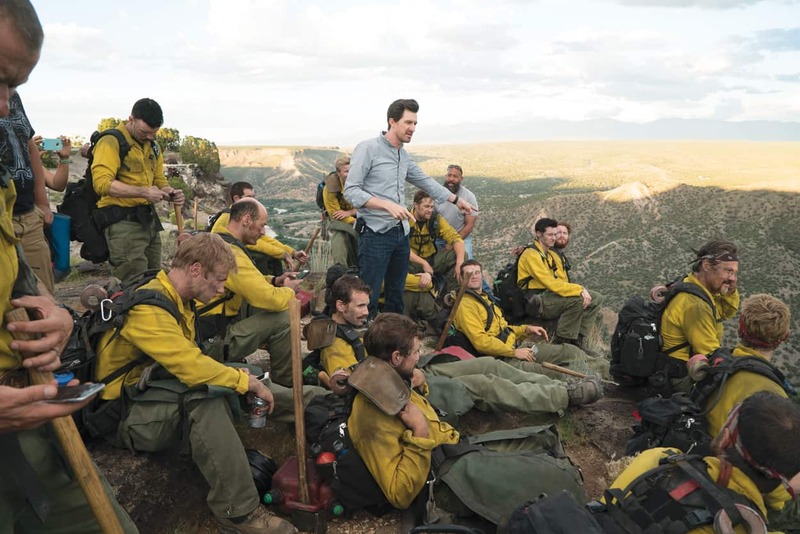 ON THE COVER: ONLY THE BRAVE director, Joseph Kosinski and “A” camera operator/Steadicam operator, Mark “Chief” Meyers on location in New Mexico. Photo by Richard Foreman, SMPSP. Mark “Chief” Meyers started his film career in 1989 as a Local 80 grip and soon became a dolly grip working on many feature films. He had the privilege of working with Tony Scott on many of his projects from Days of Thunder to his final film, Unstoppable. Encouraged to become an operator himself by camera operators whom he pushed dolly for, Meyers pursued Steadicam and hasn’t looked back since. Meyers currently resides in the Los Angeles area with his fiancé, Adrienne, and his baby son, Strong. An Associate Member of the SOC since 2015, Derek Stettler is a filmmaker who also writes for the ASC’s American Cinematographer. 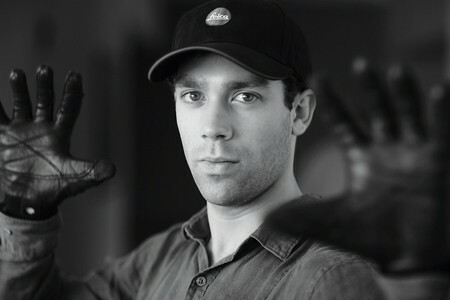 Derek discovered filmmaking as his life’s passion after graduating high school in 2010, having since made a number of short films and commercials. He currently works as a freelance video editor, camera operator, and writer.